SoftPlanet makes it possible for everyone to get free GS-Base download directly from our servers. There is no registration needed for downloading. 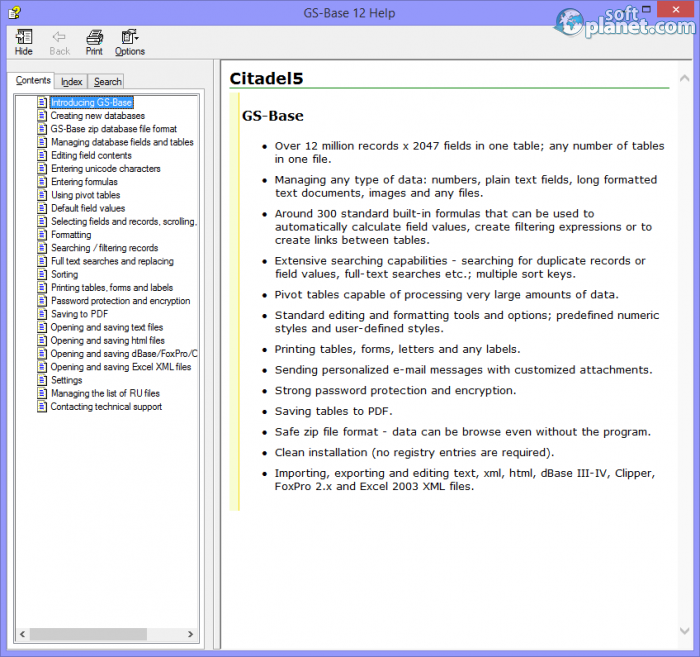 GS-Base 12.0.2 is a program that can manage databases in a very simple manner. It may have up to 12 million records and over 4 000 columns which allow you to quickly and easily analyze a very large amount of information. 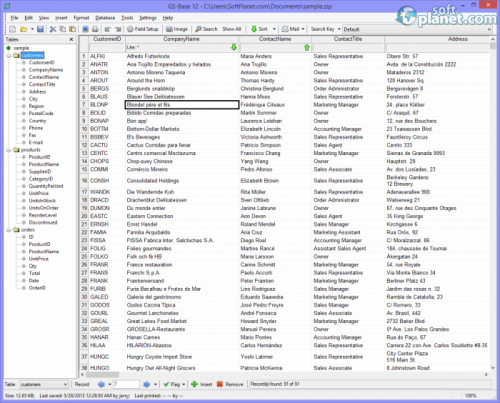 You can use it to print serial forms, letters, reports and any type of mailing labels. 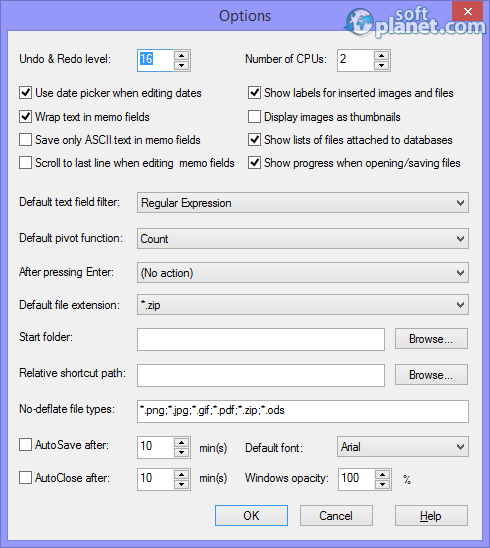 Users can use it to create and edit text, dBase, Clipper and FoxPro files. In addition to that more than 300 built-in calculation functions can be used for calculating different things or for data validation. 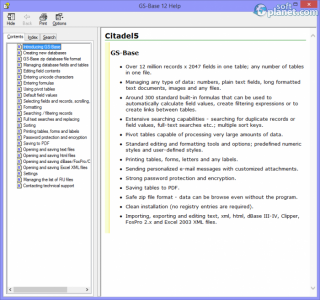 GS-Base is very flexible too, because users can install it on any local computer, as well as on a portable drive. This means that you can use it without allowing the program to perform any registry modifications. Anyone can easily synchronize, merge, un-merge and update data records based on other databases or tables. Password protection and database encryption can be used to prevent any accidental information breach. 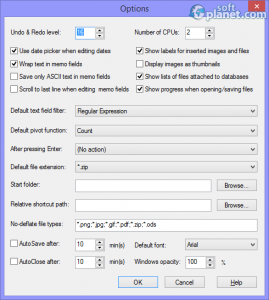 Various methods of entering Unicode characters are supported too. 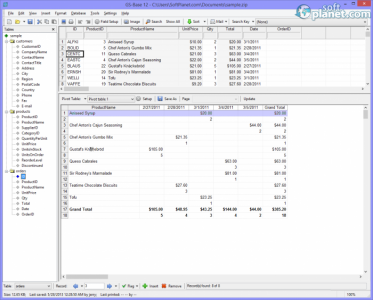 GS-Base has a very user-friendly interface that reminds a lot of the GS-Calc interface. You can use the Insert menu to insert a date, time, an image or a file; the Format menu is where you can find all formatting features while the Database menu has all related to the database operations like add table, rename table, delete table, insert or remove records, etc. Best of all, you can observe all your databases using the Database Explorer and a Table view or a Form view can be shown next to it. 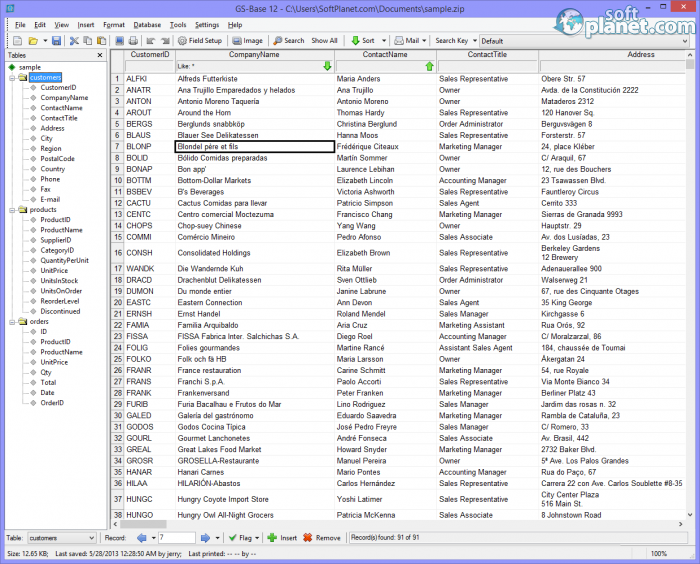 The most useful feature of GS-Base 12.0.2 is the built-in pivot table feature. Thanks to the Sort button anyone can sort any database column ascending or descending in a single click. Navigating through the database entries can be done if you use the application status bar buttons or simply as you work with a spreadsheet. A context menu with lots of options will show up if you right click with your mouse over a cell. GS-Base is nothing but a nice and alternative way of quick and efficient management of database records. 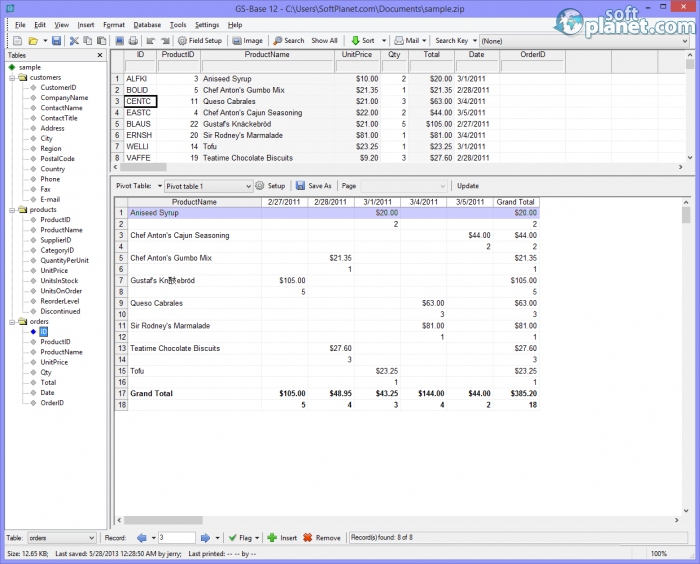 The spreadsheet-like interface is probably the best way for any beginner to get started. But if you are an advanced user then you'd better look elsewhere. Our security scan shows that GS-Base is clean from viruses. The current version of GS-Base has been scanned by our system, which contains 46 different anti-virus algorithms. That ensures that GS-Base 12.0.2 is 100% safe for your computer.